We just love a good glass of red, a remote coastline and a great camera! When it comes to sourcing travel inspiration, go no further than the feeds of power couple slash SurfStitch favourite’s, Emily (@emelinaah) and Will Yates (dr_yates). 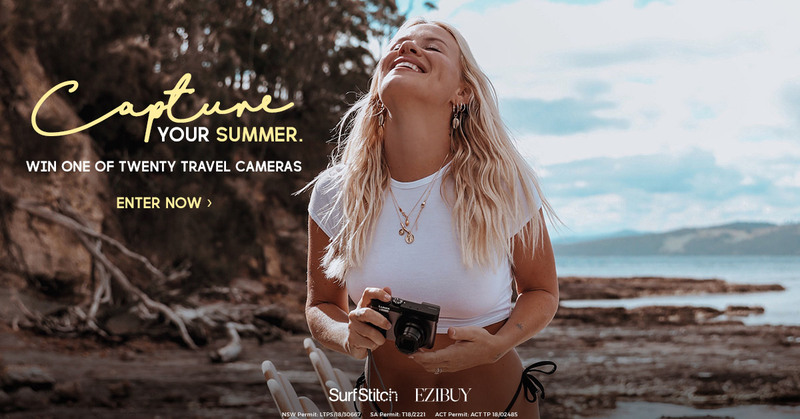 Faces of our new ‘Capture Your Summer’ competition, the Yates’ embrace all that life has to offer, especially when it comes to discovering new zones perfect for unique, eye catching snaps. Whether it’s roaming around their new hometown of Byron Bay, checking out the scenery in Europe or exploring the crystal clear waters of Indonesia (and that’s just to name a few), the pair live the life many of us dream of, forever chasing that next postcard moment to create a memory that will last a lifetime. Now, it’s no secret these two are hard to pin down, though we managed to grab a few minuets with both to chat life on the road, some secrets of getting the ultimate shot for your own social channels and what’s next on their calendar, as well as being the faces of our ‘Capture Your Summer’ competition. Thanks for chatting guys! Can you give us a rundown of who you are and what you are about? We’re just two pretty chilled people who have tried to build a life around trying to spend as much time at the beach as possible. Basically we love a good glass of red, a remote coastline and a great camera. And we somehow have kind of made it into a job! You’re always on the road, though where is home base? Well we’ve been in Byron Bay 6 years now, but Western Australia (where we both grew up ) will always have both of our hearts. You’re both the faces of our latest competition with Panasonic which we are super excited about! Tell us how this relationship came to fruition? We both have such a fetish for camera and photography, it’s both of our guilty pleasure, and we spend 90% of our time at the beach or in the surf. when we got asked if we would like to work on a project that involved the two, it was a given ! Both your feeds are filled with adventure! Can you share any secrets to getting the ultimate shot? It’s all about the time of day, the one hour at sunrise, and one hour just before sunset. It honestly changes everything. It’s now a new year which means plenty of new destinations for you both to visit! What’s on the radar? We’re about to head off to Africa, then to the Seychelles, back to Western Australia to Rottnest Island, soon followed by a trip to Oman. That’s just the next two months! You’ve just spent time on Satellite Island off Tasmania and the pictures really embrace all its beauty. Can you tell us where you were and why it was so special? Satellite island is a privately owned island off Bruny Island. So it’s an island off and island off an island ! It’s so incredibly raw down there, your just at the mercy of Mother Nature and it’s incredible. To sit outside on the deck over the water, with a fire and a bottle of red watching dolphins swim past, and picking fresh oysters off the rocks. Not a single soul in sight. Can you really think of anything better! ?